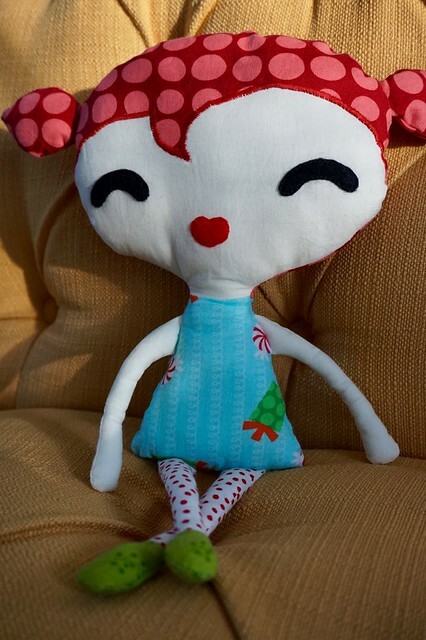 Let me start by saying how much I adore the soft toys and dolls I see in all of the recent sewing books! I couldn’t help myself, I finally brought one home to show my older daughter and quickly regretted it. I was at the library when the book Sew Cute to Cuddle by Mariska Vos-Bolman passed by my field of vision. I of course had to flip through it, especially after seeing the cute little girl doll on the cover. I decided to check it out because the patterns in the back can easily be traced and made into a paper craft for my girls. That changed once my older one saw it. She immediately picked out fabric and forced me to sew it. 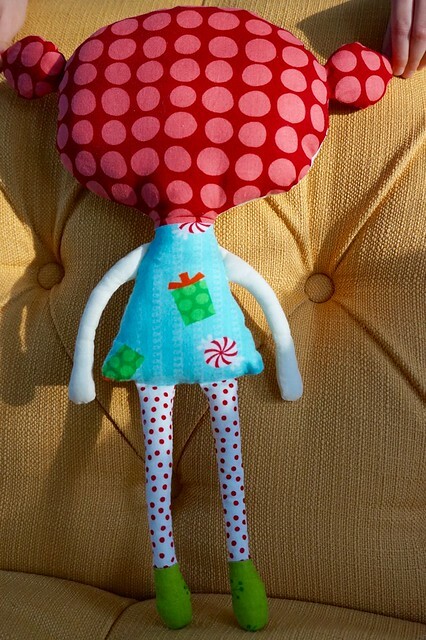 This is the first time I’ve ever attempted to sew a doll. I photocopied the pattern for this doll and had my daughter cut the pieces out. She was so pushy that I had no time to read the instructions that said seam allowance was NOT included in the pattern. 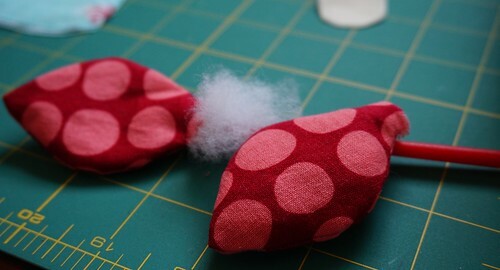 With that said, the doll turned out to be very skinny and VERY tedious to make. Of course I could’ve gone back and added seam allowance, but my girl just wouldn’t allow it. She’s a task master! I finished it within a couple of hours. I mostly just used the drawings in the book to assemble the doll, not really reading the blurbs. It probably would’ve been a good idea to read them because I assembled her in one go. Not a good idea apparently. I had to go back over her legs to secure them again, then the top of the arms were hanging out, so I had to go back in and sew those again too. She loves the doll, Charlotte so much. In the end I’m happy for the experience, but it did require the use of some unsavory words on my part. I think I’m going to give it another shot though, this time with seam allowance included!!! Am I the only one that’s missed that before then bull headed on? I can’t be! Come on, come clean! you are good If I tried this it would have been a MESS. Trust me, I tried dolls way too many times. Oh thanks! I did have another doll on my list, but the thought of trying again doesn’t sound fun to me right now. I LOVE looking at the pics in all those doll making books though!